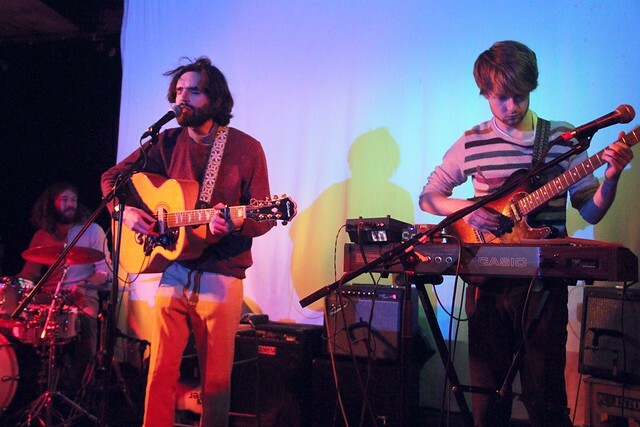 Seadog are the baby of Mark Benton, erstwhile guitarist with Man Ray Sky, Grand Palace and occasional others. Five years on from their first EP, a double set of beautiful soft pastoral songs which sounded like some lost singer-songwriter classic from the early 1970s, comes the new Transmitter EP, something a little tougher and wilder. 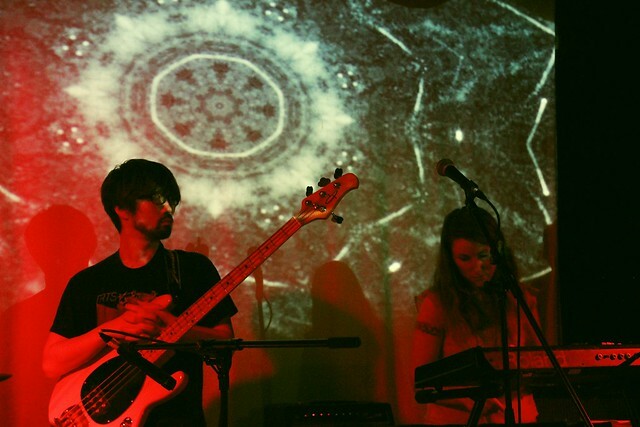 The songs themselves have been part of the Seadog live set for several years but they’re now getting a well-deserved release on the excellent Bleeding Hearts recordings label. Brighton music blog were there for the launch. First up were Such Small Hands, centred around Melanie Howard’s beautiful vocals and dark break-up anti-love pop songs. 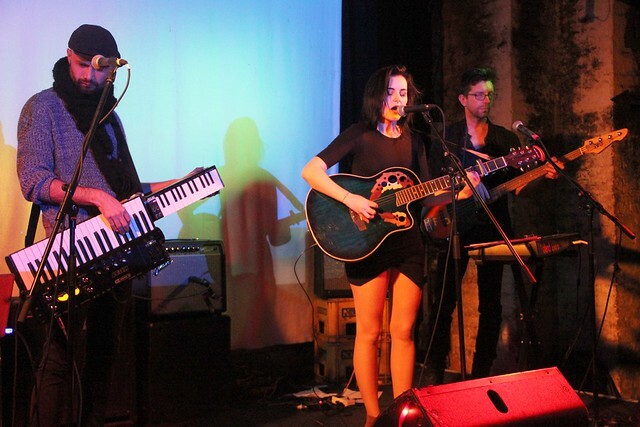 Instead of a second guitar, Chris played a “keytar” which was a strapped-on extended keyboard. it’s a bit of a shame he spent most the gig bashing away at just a couple of keys because it looked like something that could be really interesting. Fortunately Melanie provided more than enough entertainment. Next up were The Creaking Chair, including Seadog drummer Ryan Bollard, who played an enticing mix of Krautrock and early 70s English whimsy like Kevin Ayres, with some funky interjections too. It was a good mix that had the audience nodding in appreciation. Finally, main band Seadog with a slightly augmented line-up, playing the new EP and other songs, sounding nervous and rough-edged at first, but then coming beautifully alive. The new songs have the lovely harmonies of the first EPs, with great songs like Haunted which have a classic twisted poppiness. Then Max plays the childlike xylophone introduction to ‘Transmitter’ and a lovely warm noise envelopes the room. The band have a fine sound, Mark Benton’s sweet vocals provide a strong lead and some well-crafted songs help ensure this is a band to watch. Here’s hoping they stop with EPs and collect together an album soon. Isn’t the weather meant to be getting better by now? And aren’t the days meant to be getting longer? It’s still dark when I get home from work. At least it’s almost the weekend, which means it’s time for us to flag up the local bands we think you ought to see over the next few days. 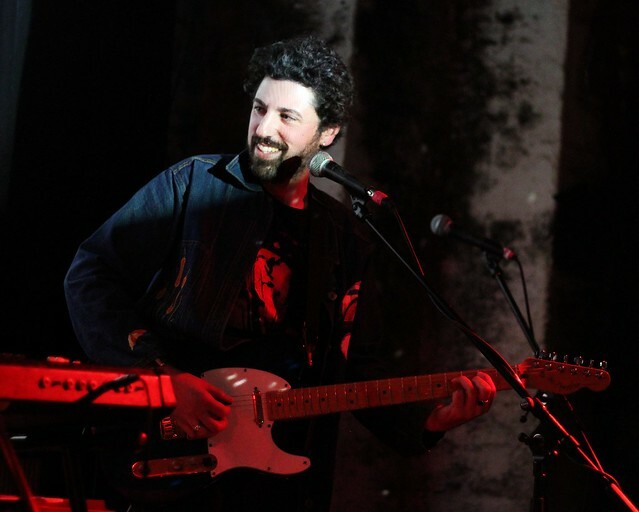 On Thursday night Clowns play at the Green Door Store, supported by Frank Melena Band and Victorian Hunter. As front men go, they don’t come much better than Clowns’ Miles Heathfield, so this comes highly recommended. And it’s free! Over in Hove at the Bee’s Mouth, Zoe Hazel Hedderwick headlines the first Lipstick & Picks night – a new monthly night showcasing female musicians, which is also free. 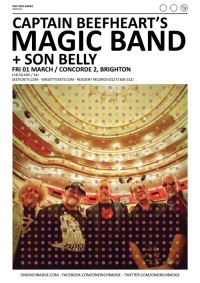 Friday night’s biggest gigs to mention are some musical legend supported by local bands – Captain Beefheart’s Magic Band headline the Concorde, supported Son Belly, and Damo Suzuki from Can headlines the Green Door Store. Not only is he supported by Sons of Noel and Adrian, Soccer 96 and Eyes & No Eyes, but members of each of these bands will also be playing with him for his set. Friday is also Lout’s next Brighton Rocks night at Sticky Mike’s, with Saint Savanna, The Dancers, Farrow and Pizzabones. There’s also another Brighton Rocks on Saturday at Sticky Mike’s – Ham Legion, The Creaking Chair, The Evil Son and LSD-25 are on the bill. House of Hats host another Harvest Session at the Brunswick, with support from The Self Help Group and Katharine Rose. 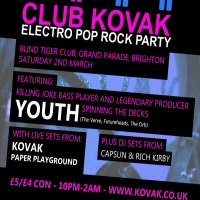 Later in the evening Kovak host Club Kovak at the Blind Tiger, where you’ll have one of your first opportunities to see them playing tunes from their upcoming album live. 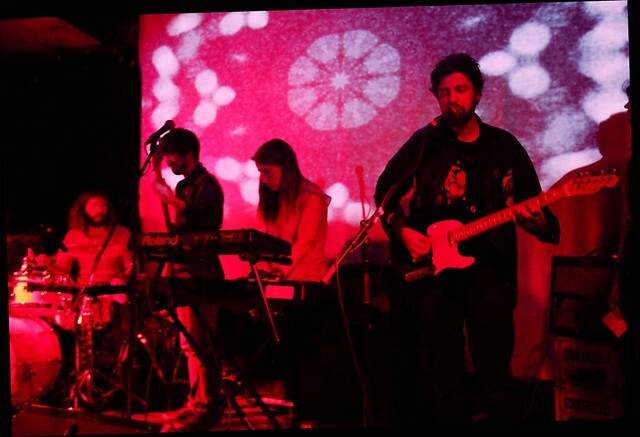 Support comes Paper Playground and a DJ set from Youth. I suppose we ought to mention that Woodingdean’s finest X-factor contestant Frankie Cocozza is playing at the Haunt too. Just the one gig to mention for Sunday, but it’s one we bought a ticket for before we even realised that the support would be a local act. Melody’s Echo Chamber plays at The Haunt (not Green Door Store where tickets were originally on sale for), and we’re looking forward to see them almost as much as we’re looking forward to Fear of Men who are supporting.